Rakesh Joshi is an Assistant Professor at the Institute of Bioinformatics and Biotechnology (IBB), Savitribai Phule Pune University. In this article, he writes about how he chose a research problem that addresses an area of major socio-economic concern in India. Like many of us, I grew up watching science fiction cartoons. I used to find it very fascinating to think that a scientist can solve any problem by doing crazy but exciting experiments. I got a stronger introduction to science and its wonders during my school life when I realised that agriculture is the largest source of livelihood in India. In terms of farm output, India ranks second worldwide and contributes around 17-18% to the country’s GDP. More than 50% of the Indian population depends on agriculture for employment. But the current economic health and the overall status of Indian farmers are highly degraded. Frequent news stories about farmers committing suicide due to various socio-economic reasons disturb me a lot. I always asked myself what are the reasons for this situation? What I can do to change this? While searching for answers to these burning questions, I focused my graduation and post-graduation training in biotechnology in a way that will be applicable for agriculture. Very soon, I had my first encounter with the research environment while doing an undergraduate dissertation on micropropagation of medicinally important plants. This gave me an insight that biotechnological advancement can be applied for better solutions in agriculture and other related issues. Training in biotechnology and willingness to work in the agriculture-related area drove me to pursue research in the area of crop protection. Initially, by looking at the proportion of the population depending on agriculture and its socio-economic impact, I expected that research and development in agriculture would be top-notch. However, slowly I realised that this is not the case. Although serious efforts are being undertaken, it is often difficult to attract the best researchers to agriculture as most students and young researchers are inclined towards other ‘glittering’ research areas. There are enormous problems that farmers face today, including unavailability and the high cost of good seeds, biocides, fertiliser and manures. Global warming has led to changes in rainfall amount and its pattern; this has imposed new abiotic and biotic challenges for the crops. Due to illiteracy, many farmers are not aware of these changes and the reason behind them. These problems are further aggravated by the lack of knowledge and inclination among young researchers to take up agricultural issues and research. I honestly think that we need to motivate and sensitise bright students, engineers and scientists to pursue and conduct quality research and affordable innovations to tackle burning agricultural issues. Use of sophisticated tools and advanced methodologies to understand these issues will surely provide hints toward a solution. Working as a Research Scholar at CSIR National Chemical Laboratory, my motivation was to understand pest biochemistry and its bio-control for crop protection. After completing my PhD., I got the opportunity to join the Institute of Bioinformatics and Biotechnology, Pune University as an Assistant Professor. My friends, colleagues and my advisors were surprised when I opted for this offer and declined lucrative post-doctoral offers abroad, but I never regretted my decision to stay back in India. While establishing my independent research group as a young investigator, I began to realise that even if one performs quality research in fields allied to agriculture, it’s very difficult to make an impact and to bring the attention of the community to this significant area. Furthermore, I found that many universities and institutes failed to conduct quality agricultural research and to inculcate its importance in the younger generations. Initially, I thought that it would be difficult to flourish as an agriculture scientist in a conventional university, whose basic aim is providing quality education and developing skilled human resources at the grassroots level. Many times it has been observed that the research component often gets neglected in most of the Indian central or state universities. Fortunately, a few premier universities like Pune University give a lot of importance and encouragement to doing cutting-edge research. After joining, I got enormous motivation from my seniors and peers to do high-quality research in my area of interest and expertise. A cherry on the cake is being among young students with their infectious positive energy, which helped me find and develop a teacher in myself. 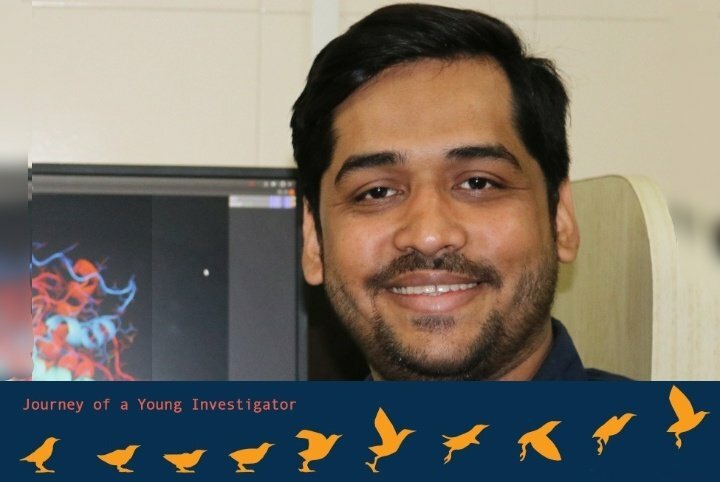 Being a young faculty member in a place like Pune, where there is a cluster of institutes which provide leverage to initiate new collaborations and a platform to get expert opinions on various experimental and technical issues, is a valuable opportunity. The collaborative environment in and around Pune University is quite conducive and encouraging to tackle challenging problems as important research questions. I also got an opportunity to visit the Technical University of Munich (TUM) as an EMBO fellow on sabbatical leave. The main focus of this visit was to acquire information about technological advances in agriculture-allied areas, which can be applicable to the Indian scenario. I must admit that some of the Indian institutes have research infrastructure at par with European labs, but their approach and attitude of doing science are different. My stay in Germany taught me about discipline, time management and how to appreciate good science. After returning from TUM, I was awarded the SERB Early Career Research Award which provided me with an ample amount of funding for the progress of research activities and the establishment of an independent group. Currently, my group at IBB has students ranging from undergraduate to PhD levels working on various aspects of carbohydrate metabolism and chemosensation of agricultural insect pests. It is hoped that our efforts in understanding insect biology, devising new bio-control methods and insect enzymes engineering will be of great importance for basic studies of insects and also applicable for sustainable agriculture. Thus as a young investigator, who is in the position to influence impressionable minds, I aspire to motivate young research students to choose to enter agricultural research and contribute to the betterment of the country’s agricultural scenario. I am quite encouraged and thrilled to take up the challenge to contribute fullest to make this country ‘Sujalamsuphalam’ through my research efforts along with nurturing younger generation through teaching. The first Green Revolution of India was nearly 60 years ago; it is now time to work towards a second.